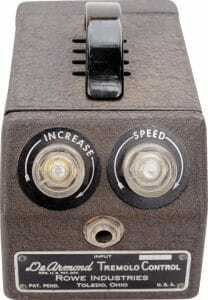 In 1948 the first commercially produced standalone guitar effects unit was made, called the Trem Trol 800 Tremolo. 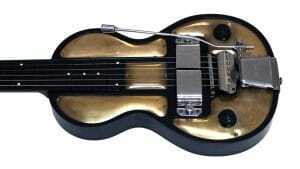 Built by DeArmond in Toledo, Ohio. It passed the guitar signal through a water-based electrolytic fluid to augment the original tone. The 1948 release date is disputed by music historian Dan Formosa. 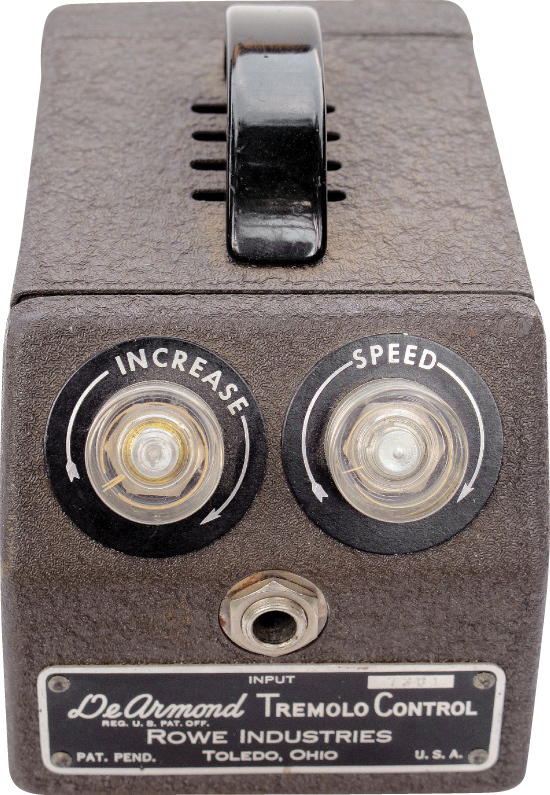 Dan says that the earliest public mention of this pedal was in July 1946, surprisingly close to end of World War II. This vintage wonder of engineering ensured its place in history as the very first mass produced pedal on the market. It was most famously used by Bo Diddley on hit 1955 tracks such as ‘Diddley Daddy‘ & ‘Pretty Thing‘ and by Muddy Waters on his 1953 song ‘Flood‘. 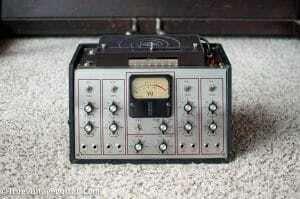 Things got better in the 1950’s when amplifiers came with in built effects such as Gain, Reverb and Echo. Many famous guitarists of the day such as Chet Atkins used them to create the famous ‘Slapback’ sound which they are now well known for. 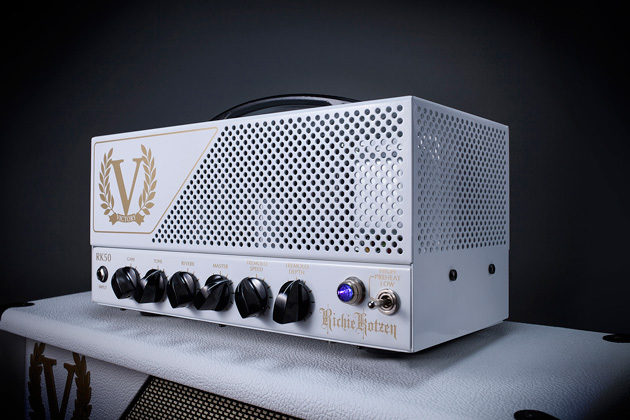 Modern tube amplifiers now quite commonly integrate effects into the amp head itself. Those effects are usually footswitchable, giving the customer a more practical control over their sound. 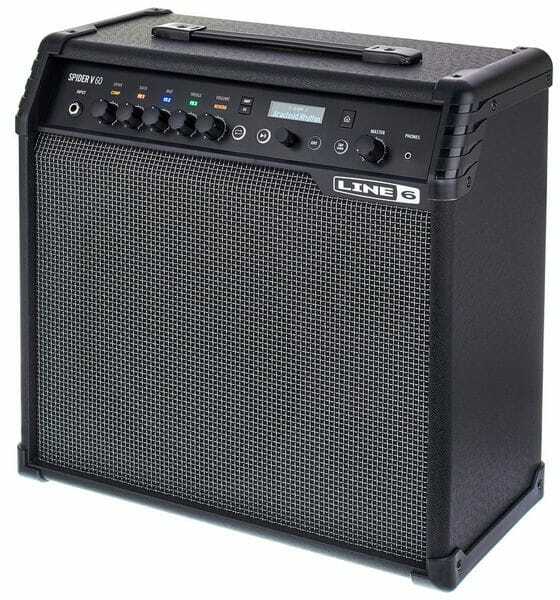 The award winning manufacturer Victory Amplification UK have a wide range of heads, cabinets and combo amplifiers to suit the needs of the working musician with many effects built into their gear. To say that guitar amplifiers just run on vacuum tubes would be foolish, oh no. 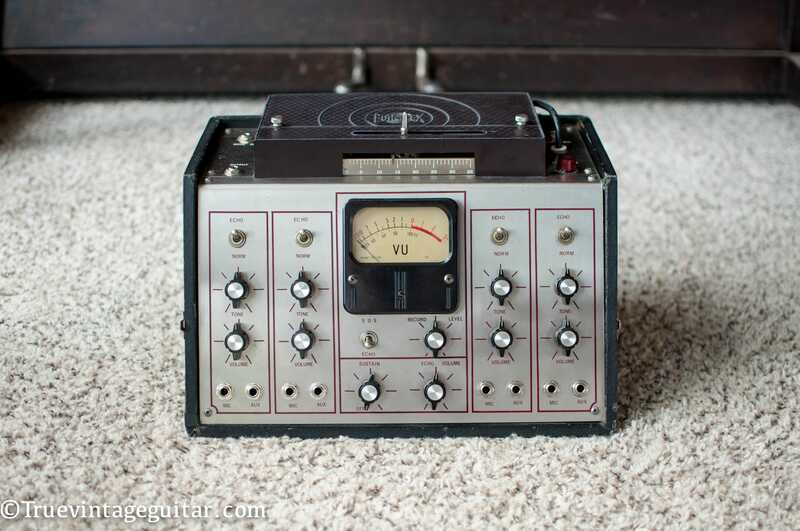 Digital amps have been an incredible addition to the musical gear nerds collection. Sheer convenience of size, weight and portability have changed the game completely. Companies such as Line 6 and Blackstar pioneered the digital and modelling amp. Even the amplifier wasn’t safe from being stood on, Line 6 created the Helix Multi Effects which is a digital recreation of hundreds of pedals, amp tones and speaker cabinets all rolled into one. Kindly placed on the floor for you to delicately stamp on a very intelligent piece of equipment. Competition soon spread. 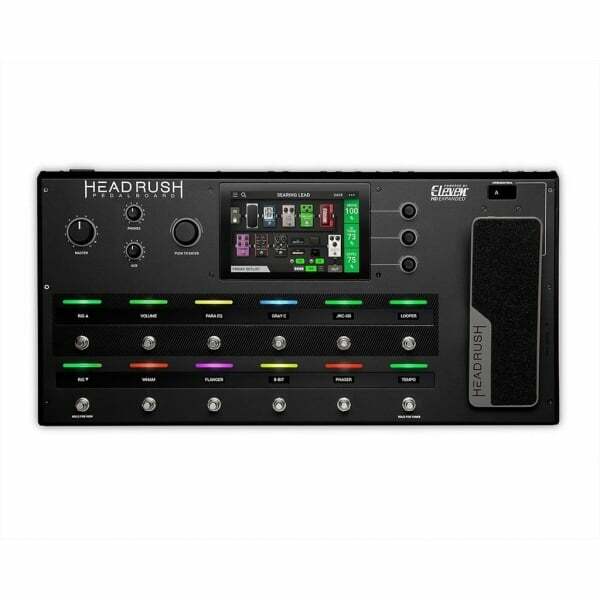 Featuring a touchscreen reminiscent of an iPad, multi effects floorboard unit from Akai called the Headrush Multi Effects Pedalboard. Despite DeArmond‘s fantastic entrance to the guitar pedal market, stompboxes were about to be made in a whole different way. They were about to become very heavy and they were going to get stood on. A lot. The tube driven effects pedal was soon almost entirely replaced when the engineering marvel called the Transistor was created. This occurred in 1962 when the first full production transistorised pedal called the ‘Maestro Fuzz Tone‘. Despite being invented in 1962, it was made famous three years later when the Rolling Stones produced their smash hit ‘(I Can’t Get No) Satisfaction‘. It did take a while to get from the invention of the transistor to putting them inside guitar pedals. 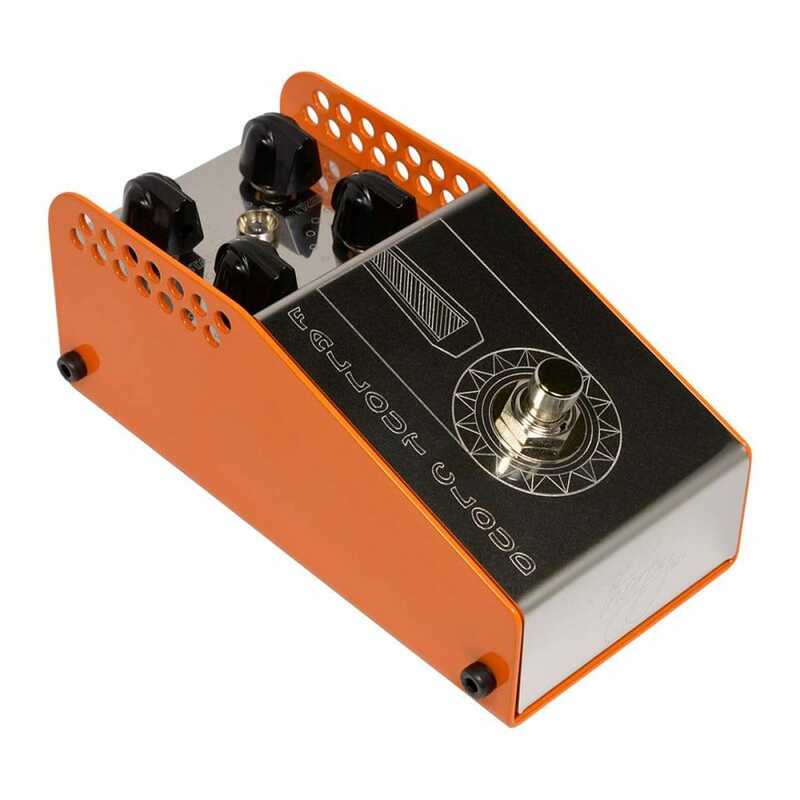 They were integrated into stompbox effects which saved weight, cost and made pedals even more portable as a result. Transistor effects pedals are much more stable effects pedals stayed on the floor mind you, though they did go more upmarket. 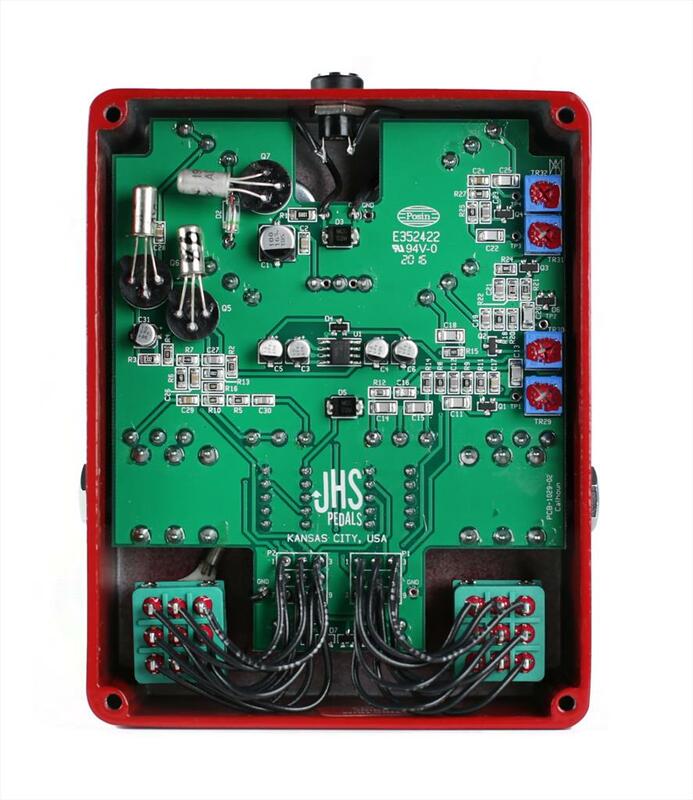 Ever since then the market boomed with mass produced wonders from companies such as BOSS and Electro Harmonix to the likes of JHS Pedals who make a large range of pedals to a high standard. On the other end of the spectrum there are boutique, hand wired pedals with crème de la crème components from companies such as ThorpyFX and Chase Bliss Audio. Think gold plated PCB’s, dust covered potentiometers and the smoothest running blend of digital processing with analogue signal chain money can buy. 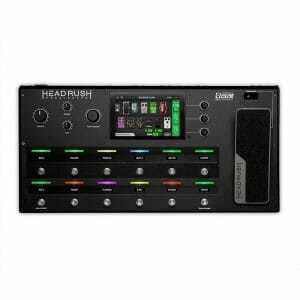 Effects pedals have grown massively in their capabilities over the past few years, with companies such as Strymon making some of their pedals purely digital, some pedals having the option to run on 18v rather than 9v for more headroom and the likes of Chase Bliss Audio pedals having both digital and analogue capabilities all rolled into one. The boutique guitar effects pedal market has really taken off over the last decade and this paved the way for a very interesting reunion of stompbox and instrument. Meet the Manson DL-1 Matthew Bellamy Signature Guitar. Created in 2016 for the MUSE front man, it’s an Aluminium coated workhorse guitar with a very big secret. IN. BUILT. FUZZ. How they achieved this you ask? By doing the unthinkable. Pulling apart a ZVex Fuzz Factory, creating another cavity in the body of the guitar and sticking the circuit board inside it. Madness *obscure MUSE pun*. Once again, modifying the sound of a guitar was more than just a tremolo bridge, the circuit board was torn out of its chassis and went right back where it started. Installed into the guitar body, albeit this time an extra cavity had to be created to retro-fit the circuit board and wiring. Whilst this might give some puzzling looks, this was actually very convenient for the singer/guitarist. Matt likes to use fuzz quite a lot. When walking a half marathon on stage, he would prefer not to have to keep returning to the same spot where his pedalboard is located. The answer, bring the pedal with you. Genius. The interesting thing here is, Manson created an option to integrate a pedal circuit board into a guitar. You don’t have to get the pedal in the guitar if you don’t want or need it. This potentially could open the floodgates to create a whole new range of guitar customisation. Imagine opting to have some of your favourite effects pedals built into your guitar rather than running to them on a pedalboard. This concept is fascinating, impractical for the manufacturer but extremely practical for the musician. The amount of collaborations with guitar and pedal manufacturers could be endless. Companies like Xotic Effects who build both guitars and effects pedals could potentially create runs of their own guitars with one of their best selling pedals in the guitar body as standard (but more than likely as an expensive optional extra). There is an elephant in the room with what Manson have done with Matt Bellamy’s Signature guitar. Installing a PCB into a guitar brings up a whole host of problems for a luthier. Complexity of the work, production time and cost effectiveness. At the moment, the work required to cut differing sizes of cavities depending on the circuit board per guitar/per circuit board is just too difficult. 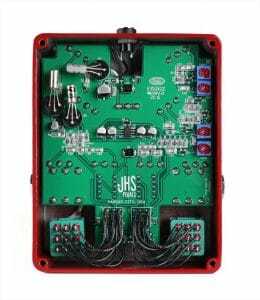 For brands such as PRS Guitars and Music Man Guitars it could be a fantastic business opportunity to partner with a pedal brand to infuse a famous effects pedal’s circuit board into the body of the guitar for a limited edition build. 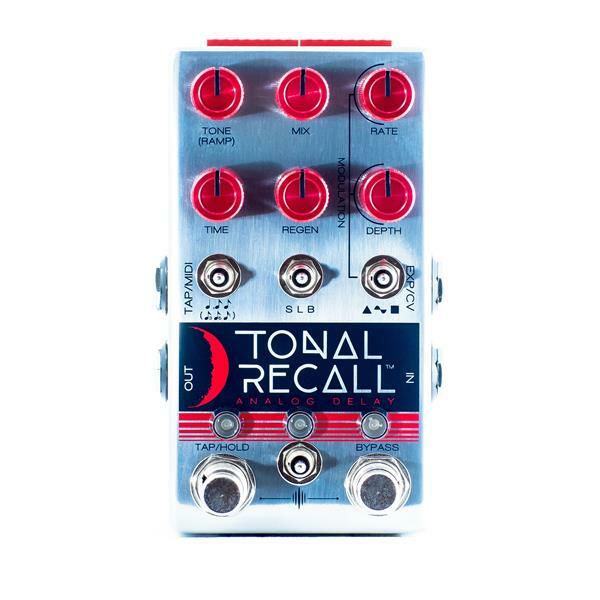 I am aware that these brands have tried to input effects pedal circuits into cavities in the body of their guitars. PRS won’t be doing this in the near future as creating a chamber in the body of the guitar negatively affects the tone and sustain of a note when played. Can’t argue with that. For the moment, Manson guitars use it as a costed option but if a new manufacturing technique can be invented, a whole new side to the guitar luthiery business could open up. You heard it here first people! Guitar players of the future may scoff at the very idea of a pedalboards filled with pedals. God forbid having to actually walk over to some metal boxes so you can stand on them. They may well be flicking switches or using touch screens on their guitars; commanding all the effects they’ll ever need without having to take a step. In Matt Bellamy’s case, he has all the fuzz a guitar player could ever dream of right under his fingers. As for touch screens, the MUSE frontman is already using guitars with these installed. Quite the pioneer! In all seriousness, there is something very therapeutic about stomping on a pedal, it satisfies our innate desire to be mildly violent in an expressive way. To kick in this other dimension of sound with the force of your boot. Those poor musicians of the future can have their in built effects, I’m going to go and stand on my Wah pedal and make strange noises and smile about it.